Newly settled planets within the Hostii Galaxy are first facilitated by the Hostii Interplanetary Organization, commonly known as the HIO. 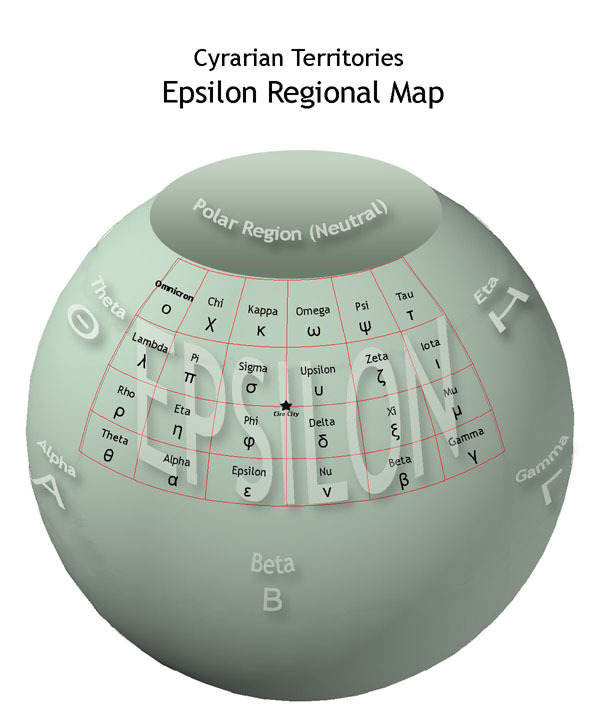 Typically, the planet is divided into 6 territories of equal size with three in each hemisphere. The Territorial Government must answer to the HIO as well as be in harmony with their charter in order to receive assistance, mostly in the form of imports, such as food and other commodities. Initially the government is primarily a facilitator, charged to encourage and mediate communication between regions with regard to commerce and trade. Border disputes are also arbitrated at the territorial level. The territories’ capital is located in the center, in what is considered a neutral region. The polar regions are also neutral, as are any moons. The territory provides various services each region may utilize while financing it accordingly. These include institutions such as hospitals, prisons, law enforcement, immigration, space facilities in the form of space stations to serve incoming and outgoing spacecraft, and a shuttle system to the capital. The territory is led by a Territorial General elected by the Regional Governors. The Territorial General has a deputy who becomes the Territorial General in the event the existing one is no longer able to serve. If two-thirds of the territories (4 of the 6) adopt the same structure, then the entire planet will be subject to that type of rule. In that case, the leadership from each territory will have equal say and power via an organization known as a Quadrumvirate. If only three territories combine they are known as a Triumvirate, but do not have global power. Each territory is divided into twenty-four regions of equal size, each initially twenty degrees latitude and twenty degrees longitude, though these boundaries may be adjusted as settlement proceeds. They are given names in the order in which they are settled. The true government under which Cyrarian residents live is determined at the regional level. The HIO allows for the citizens of each region to determine by popular vote which type of government under which they wish to be ruled. If two-thirds of the regions (16) all decide upon the same governmental structure, then the entire territory can be declared subject to that particular type of rule. Regional Governors are elected by popular vote and, like Territorial Generals, have a deputy who will also replace them, if unable to complete their term. They assemble their own staff, comprising various ministers in accordance with the type of governmental structure decided upon by popular vote of their citizens.